You’re mobile, so Yellowfin is too. Explore your data and make great decision whenever and wherever you need to with Yellowfin’s native apps for iPhone and iPad, HTML 5 hybrid app for Android devices and browser-based delivery. 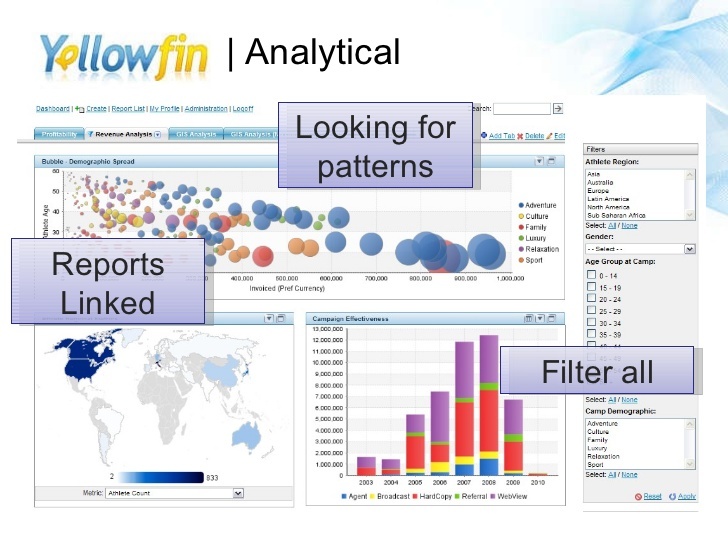 Our unique approach to Mobile BI also means that as soon as you publish a report in Yellowfin, it’s immediately available on your mobile device of choice. Yellowfin Mobile is lighting fast to deploy – there’s simply no need for re-work. 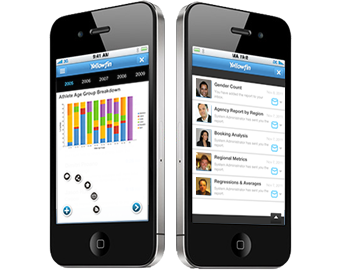 All reports or dashboards created via the browser are immediately and securely available on your mobile devices. Your BI content is visually consistent – regardless of where it’s accessed. We get data into the hands of those who need it quickly, saving you time and money. With Yellowfin Mobile, your business is at your fingertips. Refresh and analyze all your KPIs anywhere, anytime. Flick through financial charts and graphs. 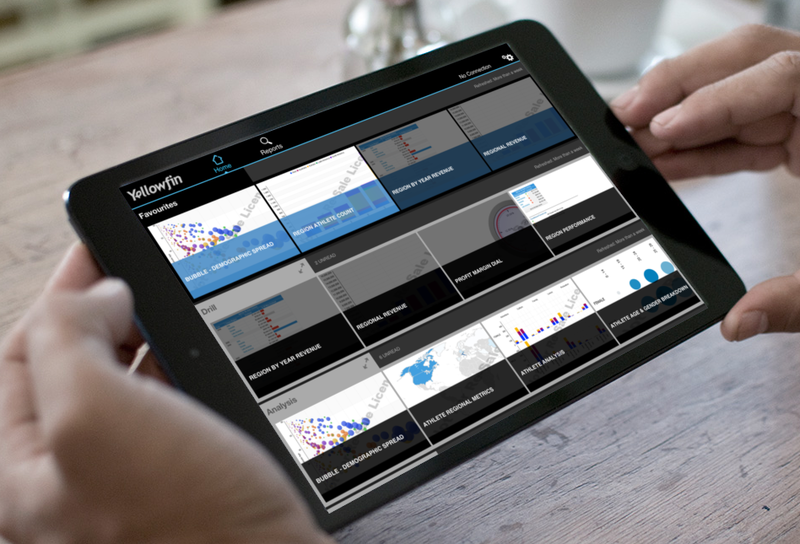 Interact with, filter, sort and analyze your data — all with the touch of your fingers. And, offline mode lets you enjoy uninterrupted access to your data. Even author new reports, via the browser, on your tablet.